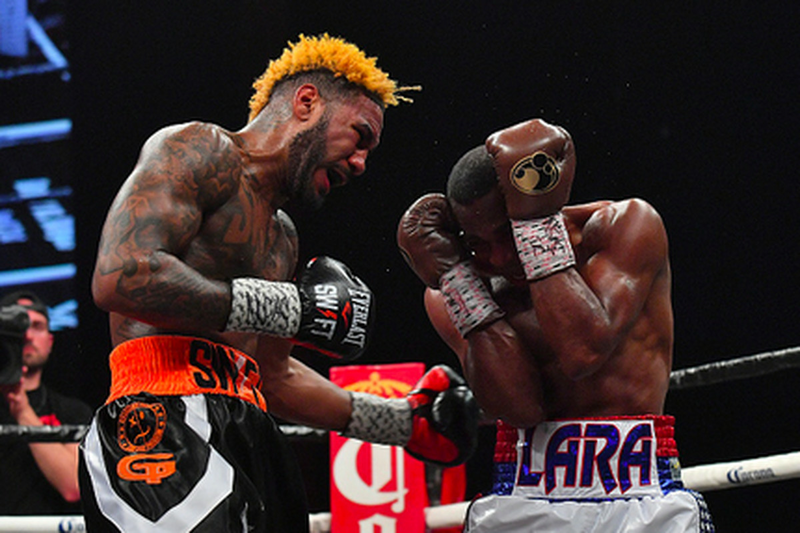 What an amazing contest on Showtime, with Jarrett Hurd and Erislandy Lara going back-and-forth over 12 rounds until Hurd finally dropped Lara in the final round which ended up making the difference in the fight! After 12 rounds of intense action Hurd would take a split decision on official scores of 114-113, 114-113, and 113-114. I scored the fight 115-112 in favor of Hurd for BLH, and with the win Hurd unifies junior middleweight titles, retaining his IBF title and taking Lara’s WBA title. This fight played out exactly as it was billed, with Lara using his craft in an attempt to combat Hurd’s pressure style, coming straight forward throwing power shot after power shot. Lara had intermittent success but found himself on the ropes more and more often as the fight wore on, which is exactly where Hurd wanted him. By the 10th round Lara’s eye was swollen badly, and in the final round Hurd caught Lara with a left hand that followed a hard body shot which put Lara down. Lara would beat the count but was bleeding from the swollen eye by that point. He still showed his championship heart though, fighting Hurd off until the final bell and throwing everything he had left. But in the end that one knockdown in the 12th proved to be the difference-maker. Final Showtime stats had Lara landing 176 of 572 total punches (31%), with Hurd landing 217 of 824 (26%).